We all know intellectually that kids learn from challenges, and they grow stronger and have more self-confidence when they learn to navigate those challenges. But when you’re actually going through it it’s hard, as a parent, to watch your kid struggle. It’s also hard to identify where the line is between reasonable struggle and a real need for help. 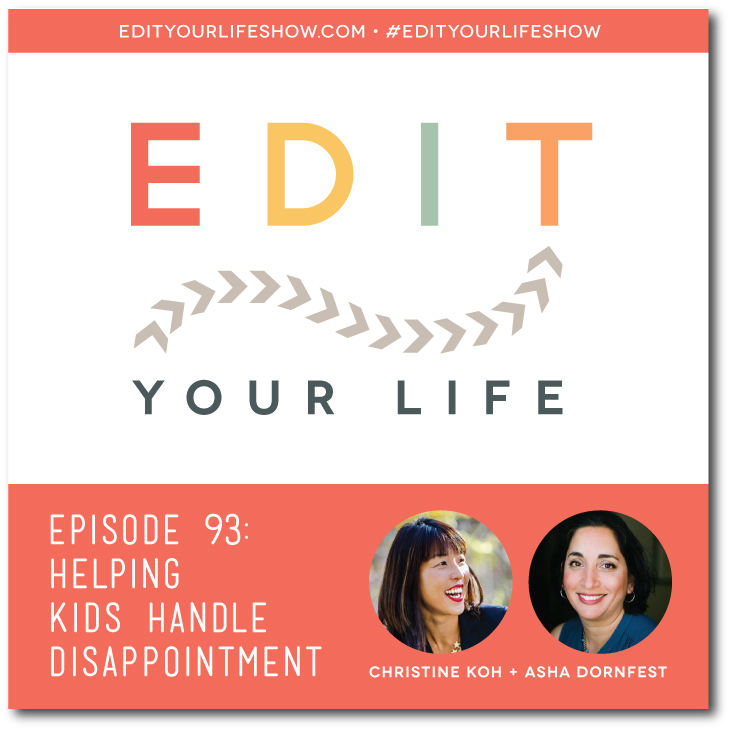 In Episode 93 of Edit Your Life, Asha and I share 8 tips for how parents can help kids handle disappointment while not hovering.